For more than a half-century, The Oak Ridge Boys have created an American music legacy all their own. Their foundational influence and award-winning history is attributed not only to their dynamic personalities and musical diversity, but also to great songs that have connected with the hearts of their audiences. 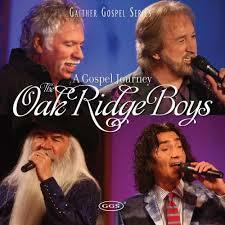 And, throughout the heights of their success, The Oak Ridge Boys have maintained an unwavering commitment to Gospel music. This unprecedented musical journey takes us deep into the gospel roots of The Oak Ridge Boys that celebrate the group’s Gospel music heritage.